Home » Archives » May 2007 » Last Meal at Homestay. 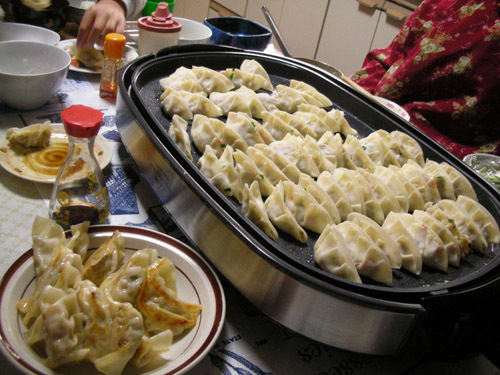 Let's Make Gyoza! So finals have ended and I made it through. I pulled off a 3.77GPA and made Dean's List this semester and it's time for some celebration. 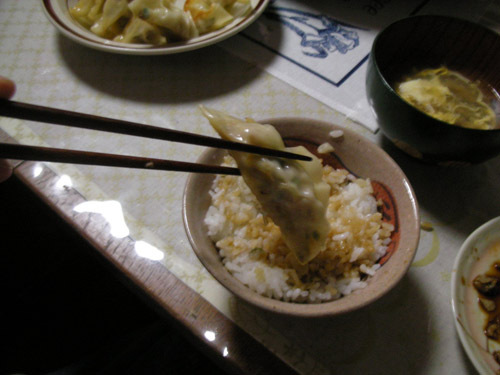 My last night in the homestay before making the final move to my new apartment has arrived and it's time for my favorite food, Gyoza! 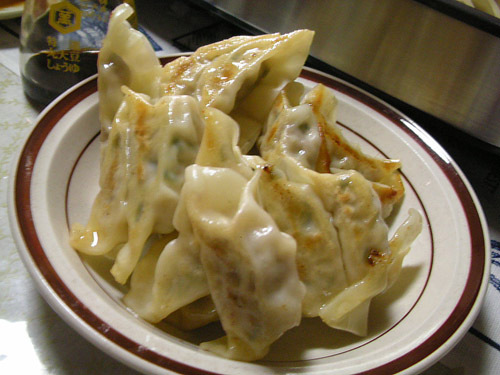 My Japanese mom has taught me to cook several things throughout my stay here in the house and of those, my favorite is Gyoza (potstickers I think it's called in America). It's delicious beyond compare and quickly finding it's way to my top 3 favorite foods of all time. Don't be fooled though, it's only this good if it's homemade. So without further adue, please watch the video I put together of me cooking on my last night. Man this stuff is great. Now that you've seen the video, you should try making it. If you have an asian supermarket in your town (If you're in my hometown of Sacramento you most surely do), you can find the Kawa(skin) required for making it which is the only ingredient you can't normally buy at a US supermarket. The best part if the entire 150 piece meal costs about $15 to make. You pretty much need the skin, meat, negi, salt and other seasonings, cabbage, and you're done! You also need a flat pan griddle such as this. A little oil and a cup or do of water. It's so easy to make and so awesome you have no idea. This meal was my last with the family, sad times. It was great overall and I'm glad I did it. Homestays are really hard but if you can handle it, they're well worth it. If you ever have the chance, do it. 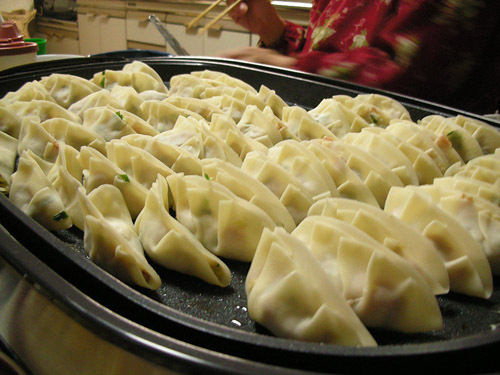 Wow the 150 piece gyoza meal. Iv read about it in old books but i never knew it was real. I must divert my eyes for it is to amazing for me to behold.